At the D23 Expo, it was announced that Disney’s Hotel New York will be re-themed to Disney’s Hotel New York – The Art of Marvel. It was already known that Hotel New York would receive a yearlong renovation, but now we know that when the scaffolding will be removed, it will have a Marvel theme. 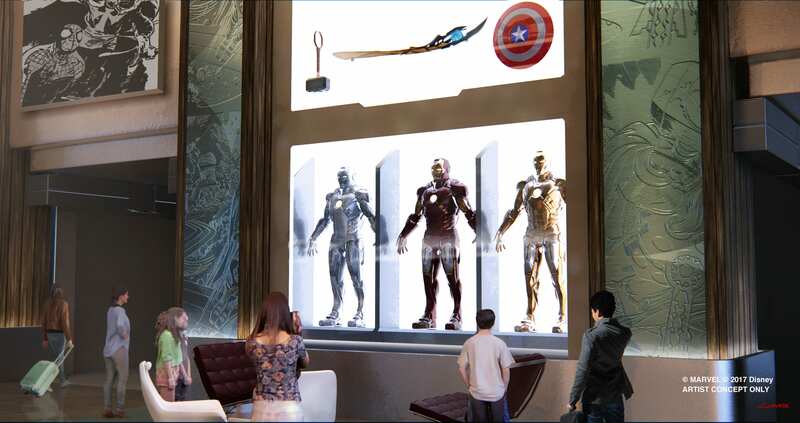 Tony Stark and Marvel are already big at Hong Kong Disneyland where guests can already experience several Marvel attractions and hotel theming.